The Wounded Warrior Project (WWP) 2012 Soldier Ride comes to New York July 18-21. A cycling event to help Wounded Warriors restore their physical and emotional well-being, Soldier Ride also gives the New York community an opportunity to aid in the emotional recovery of their local warriors by supporting these men and women. 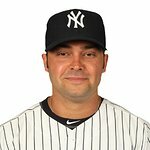 On July 18, Wounded Warriors will cycle to Yankee Stadium prior to the New York Yankees’ 1:05 p.m. game vs. Toronto to meet with several members of the Yankees team and be honored by the New York Yankees in a home plate ceremony with Nick Swisher, who has made a personal commitment to assist WWP with its mission to honor and empower Wounded Warriors. Other highlights from New York Soldier Ride include a bike fitting, where warriors using adaptive equipment like prosthetics are fit to the cycles, and warrior rides through Manhattan, Long Island and the Hamptons. Warriors of all ability levels participate in Soldier Ride, which takes place in 11 cities across the United States in 2012. There are state-of-the-art adaptive hand cycles, trikes, and bicycles to accommodate warriors with various injuries and disabilities, as well as unmodified road bikes for riders not requiring adaptive equipment. WWP provides equipment and support at no cost to warriors. WWP also has eight office locations around the U.S. to better serve Wounded Warriors, including a locally-based office on 7th Ave. and W. 31st Street near Penn Station, which specializes in helping Wounded Warriors in the areas of mind, body, economic empowerment, and engagement. To volunteer for Soldier Ride or donate to WWP, please visit woundedwarriorproject.org. Soldier Ride, presented by GEICO, is also being supported across the country by U-HAUL (uhaul.com), a founding partner of Wounded Warrior Project.